Guest blogger Swati, owner of Perfect Skin Care for you writes about health and beauty and loves to DIY and use home remedies for almost everything. She was married last year at about the same time so this is a personalized list of tips for all the brides curated with personal experience. As I write this post, I can recall everything I went through when I had been a bride just over a year ago. We celebrated our first anniversary just a few days back. 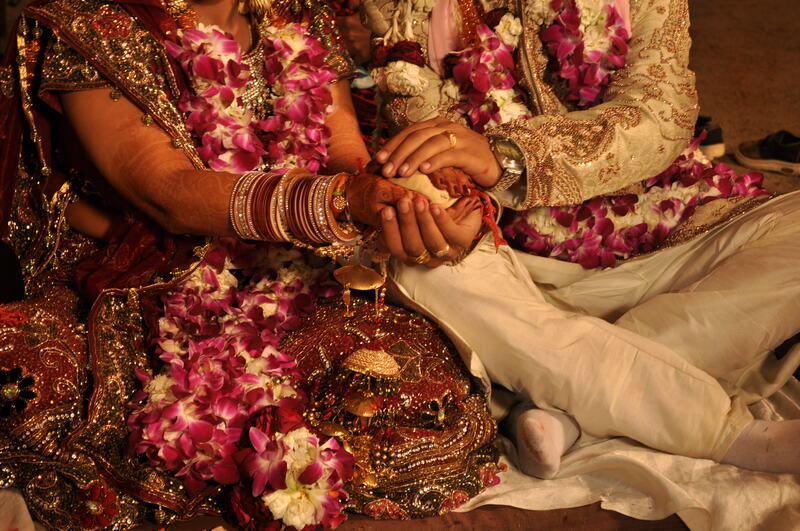 But, no time is better than the one between the engagement and the wedding. It is a divine bliss and enjoy it because you really are going to crave it 🙂 And, let other people handle all the stress. You just have to concentrate on yourself. And, I know you are doing everything possible to keep in shape. I just want to share a few things which could be new to you and might actually be helpful! So, have you heard of a Dry Brush? Well, get one, if you have! And, if you have not, dry bushing is one of the important rituals of body cleansing. You have a long-handled brush with natural bristles on one end which is used to brush your body from toe to shoulder towards the direction of the heart in long strokes. This rejuvenates your body, cleanses your lymphatic system, improves blood circulation, gets rid of cellulite, helps speed up skin regeneration and exfoliates your body almost everyday. Trust me, this does half of your work. Try it for a week and check results for yourself 🙂 Well, you still need to take care of your face, though! This has been one of my greatest discoveries. Even though I have dry skin, this is absolutely perfect for me. Grapeseed oil is light and gets soaked up in the skin and no greasy feeling at all. And, the best part is it is perfect for oily and combination skin people and since it is an extract from the citrus family, it helps the skin glow and look amazing. If you feel the oil is not enough, layer it with your favorite moisturizer. And, don’t forget to apply it on damp skin. Damp skin absorbs products better. Another of my best skin care and hair care tips. It helps with the hydration levels of the skin. If you apply aloevera gel directly on the skin, it will dry out and make you feel stretchy. So, it is absolutely essential that you layer it up with your serums or moisturizers. But, it improves the hydration levels of your skin and makes it plump and helps it keep fresh. Also, it is a great leave-in for hair as well. 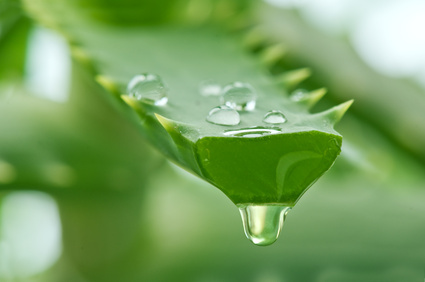 After washing your hair, take some aloevera gel (from the leaf) and apply in on your hair and scalp. Let it air dry and there you have the softest hair ever! You can also follow with a leave-in conditioner for extra dry hair. A South Indian tradition for the brides and new borns, the finely ground mung beans mixed with loads of other herbs are absolutely divine. They remove your body hair. facial hair and black heads and fight breakouts and remove blemishes and bring a glow to your skin and absolutely skin-friendly. It is used on the entire body from head to toe and it makes the skin soft and supple. Well, this is obvious but a monthly or bi-monthly spa session does amazing things to your body. It cleanses and detoxes your body from inside out and helps you lose the weight, revs up your metabolism, flushes out stress along with the toxins, cleanses your colon and lymphatic systems which makes you glow and last but not the least, makes you feel good about yourself. And, do not forget to include head massages too! If you are missing them in your closet, you are really missing out a lot! Well, for one, why do you think you feel so good in a spa? It is relaxing and feels the world away from the outside madness. You can create your own atmosphere just the same by using some essential oils. My favorite is french cypress and patchouli. They calm your senses. And, better yet, lavender helps you sleep better and rosemary helps in hair growth so those are must haves on your list before your D-day. Some of them like patchouli can also be used as a personal scent. These are the most luxurious indulgence according to me. Some of the essential oils are not available as roll ons and sprays so check them out. And, now, lets lose that flab! Nothing else can beat that rosy glow. 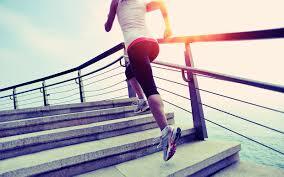 So, be regular at your yoga classes or go for a walk, just in case you do not have time. And, drink a lot of water and eat loads of fruits. And, may be you could try a juice cleanse. Just live on fruits for one day every week. Anyways, lets get to the last one then, shall we? So, getting up at 6:00 AM and sleeping at 10:00 PM is the most ideal time. And, waking up to feel the warmth of the sun is a fabulous feeling. But, then, are we not all lazy or some of us, too busy? So, what we do is the next best thing. Sip on a glass of warm water or green tea or ginger tea right after you get up. This helps you wake up slowly and soothingly. And, now, finally, the thing which is most close to my heart!! Are you bride wearing spectacles? Well, if you are and especially, if you hate contacts and do not want to get laser done, get yourself some trendy specs as soon as possible. Also, if you are going to get some contacts, get yourself tested immediately and ask for trial versions first. Only when you are comfortable, order them in bulk. This is especially important for people with higher powers and different cylindrical power. Contacts do not have as flexible cylindrical powers as glasses so the sight through them is different than the specs. Most of the ones I tried made everything look magnified. Also, another thing to take care is the dry eyes issue. Contacts make the eyes extremely dry and also the glare of the cameraman’s lights, the stage decorations, the havan, everything will make your eyes dry and teary and there is a danger of your contacts slipping out or irritating your eyes. And, you cannot really put eye drops every now and then between the ceremonies. So, make sure you are very very comfortable with them before you wear them on the D-day. Otherwise, try thinking of another alternative – wearing specs. Well, not a very lucrative thing but then some people do not really have a choice!!! 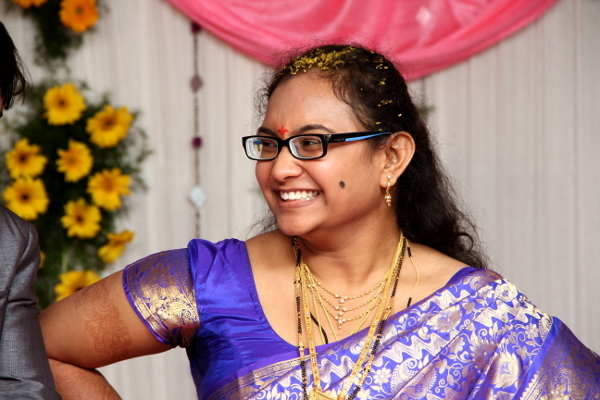 I am Swati and I blog at Perfect Skin Care for you. I love to write about health and beauty and love to DIY and use home remedies for almost everything. I was married last year at about the same time so this is a personalized list of tips for all the brides over there curated with personal experience.